Unexpected news item in the bagging area. Sainsbury's is giving up on its mobile phone network after just over two years, it has emerged. 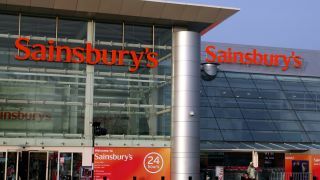 Engadget reports the supermarket will be pulling the plug on "Mobile by Sainsbury's" following a breakdown in talks with Vodafone, who provided the physical infrastructure that enabled Sainsbury's to operate as a mobile virtual network operator (MVNO). A Vodafone spokesperson told techradar, "We have no plans to exit the MVNO market." Speculation at the news suggested Vodafone wanted to leave the MVNO market to encourage customers onto its own network. The network will eventually go dark on the 15th January - giving customers just over 90 days to figure out how to "Live Well For Less [Signal]". Customers will be sent their PAC codes, which will enable them to transfer their phone number to a network of their choice. Interestingly, this is the second time that Sainsbury's has closed a MVNO in its name: Way back in 2001 it launched and subsequently closed two years later the "Sainsbury's One" network it launched to compete with Tesco and ASDA's mobile offerings. The company has also emphasised that despite the shutters coming down once again it will be continuing to sell handsets in its 300 stores nationwide.